Whether you want to get organised, learn a new skill, flex your creative muscles or just entertain yourself, there are tons of apps to help. So many, in fact, that deciding which to download could take you until next winter, but that’s where we come in. We’ve compiled a list of 10 great apps for iPad and iPhone guaranteed to make those winter evenings more fun, more productive, and much, much more exciting. Whether you want to make a claymation movie, record a hit or dazzle your friends with card tricks, there‘s an app here for you. Whether you fancy yourself as the next Nick Park or just enjoy messing around with plasticine, then iStopMotion is essential. You’re not limited to claymation, either you can choose to animate almost anything you can think of. Whether its an empty Coke can slowly crumbling or beer bottles dancing on a table, the only limit is your imagination. 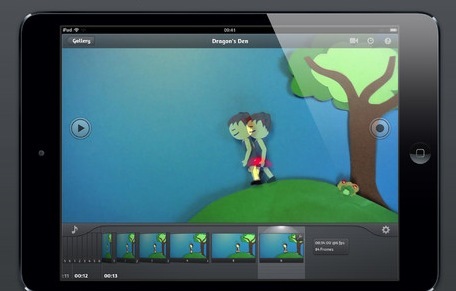 iStopMotion works on iPad 2 or later, and it opens with a claymation video of its own that demonstrates its features. You can shoot video with the iPad’s front or rear cameras, and record in 1080p if you use the rear camera on and iPad 3 or 4. With help from a companion app, you can even shoot from a separate iOS device. You choose exposure, focus, and frame rate inside the app, and add one shot at a time. The previous frame is shown underneath the one you’re about to shoot, so you can see exactly how much or little you should move your subject. When you’re done, you can add music and share your animation on YouTube, or save it to your Camera Roll. Given how long it takes to make stop-frame animation movies, this can happily provide you with a whole winter’s worth of entertainment! Combine colouring, cutting, folding and making cute cutout characters, and you have yourself a winning craft app. 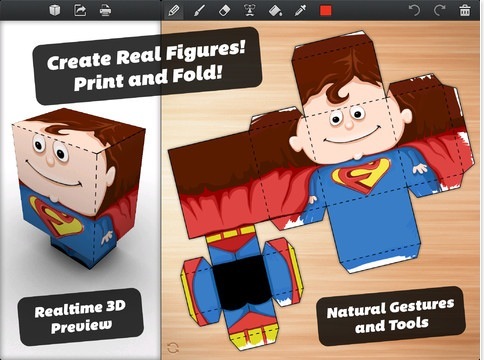 That’s Foldify, and it’s the easiest way imaginable to create your own foldable paper toys. The strength of Foldify is the way it allows you to edit the flat, unfolded model while viewing the finished, 3D model beside it on-screen. You can rotate the model around its vertical axis to see how your changes look. You can either choose one of the pre-made models (such as a yellow New York cab, or a cuboid superhero), or begin with a basic 3D shape. You then draw and paint on the surfaces to create your model. There are a good selection of ‘stickers’ – think eyes, noses, and moustaches – and more can be bought as IAP. Once you’re happy with your design, you can print it to an AirPrint-compatible printer, or email it as a PDF so you can print it from a computer. From there, with the cutting marks and tabs in place, it’s time to get the glue and scissors out. Foldify is a beautiful, fun, and educational. Acquiring new knowledge and learning new skills are two of the more productive ways to spend your winter nights (aside, perhaps from catching up on that Breaking Bad box set), and there are few better ways to do both than iTunes U on iOS. With courses on everything from architecture to zoology from some of the top universities in the world, you’ll find something of interest with teaching materials second to none. Course materials come in the form of text, audio, and video lessons, and you can make notes on each. 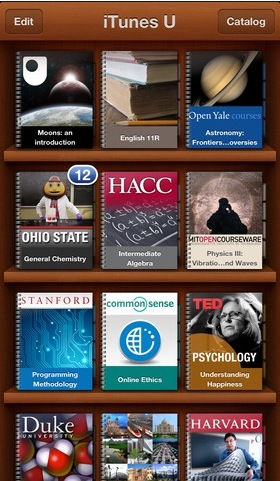 Subscribe to a course and it appears on your bookshelf. Open it and you can see the available materials at a glance, ready to be downloaded. You can search by topic, and view courses by category or by academic institution. Courses aren’t limited to those from colleges and universities, either; the National Geographic Society, and the New York Public Library provide content, too. The free public courses don’t offer assignments or feedback – only for enrolled students at private courses – but there’s plenty here to get you started on deciding what to pursue further on a more formal basis. If you’re musically minded, creating and recording your own composition can be a rewarding experience. 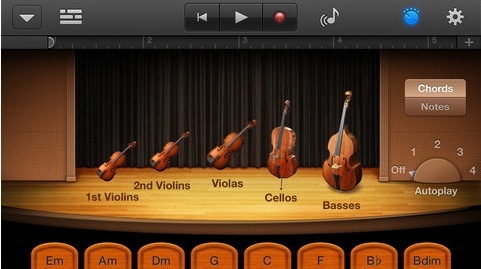 Thanks to GarageBand, you don’t have to be accomplished in multiple instruments in order to put together a track. Start with the included Apple loops and lay down a drum beat from the selections on offer, then add a bass line. you’ll see these represented by coloured bars in the track list, and you can stretch them with your fingers to cover infinite bars. Smart Guitar allows you to choose from different models and you can add note or chords by tapping or swiping the screen, but the ability to plug-in your own guitar with a suitable adaptor such as IK Multimedia’s iRig and then choose from the wide variety of amplifiers, speaker cabinets and effect pedals is impressive. Even if you never get as far as completing a song, there’s lots of fun to be had just playing around with GarageBand, even if it’s just with friends or family. A great way to spend a winter’s evening is to plan a summer holiday, but what’s the best way to maintain that feel-good holiday spirit? How about learning a new language? 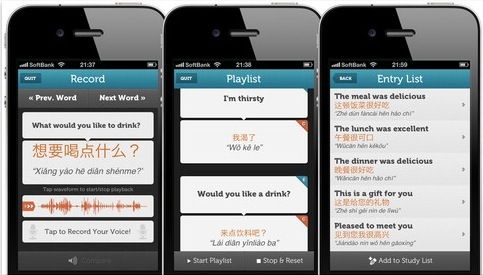 WordUP has a series of apps for languages ranging from Arabic to Vietnamese. We’ve chosen the Iberian Spanish version, but there’s also Latin American Spanish if you’re traveling further afield. It uses tried and tested methods such as flashcards and quizzes to help you learn, but also allows you to record your own voice speaking words and phrases and compare it to a native Spanish speaker. There are 10,000 words and 2,000 phrases in the app, all with accompanying voice recordings, and you can look them up using the search function. If there are words or phrases which you find tricky, or that you specifically want to learn, you can compile them in a playlist and listen to them whenever you like. WordUP is beautifully made and well thought out, which is important in an app where repeated use is essential to achieve your goal. The recent closure of The Dandy in print is a reminder that today’s kids don’t feel the same way about comics as many of the older generation did when they were their age, but Comic Life is a great way to show kids how fun comics are. Grab photos from your Camera Roll or Photo Library, shoot some with your iPad’s camera, or, if you’re artistically minded, draw or paint panels from scratch in an app like Procreate. Once you’ve mapped out your story, you can add speech bubbles, narrative text, and the kind of ‘KAPOW’ graphics that make comics such a visually dynamic medium. Comics can be saved for working on later, and once you’re finished you can send them to Dropbox, share them over email or social media, or print them to an AirPrint printer. You can even open them as PDFs in iBooks. You can start with a ready made template to which you need add nothing more than pictures and text, or select just a basic layout of boxes. Editing can be fiddly, but you can zoom in to make it easier. If you’re anything like us, you’re bound to take plenty of photos. iPhoto is brilliant for its ability to organise, edit, and share your images. If you use iCloud, iPhoto will automatically display all the photos in your PhotoStream, as well as those in your Photo Library. You can also import images using the Camera Connection Kit. The app can organise your photos automatically into categories such as Faces, Places, and Events, or you can do it yourself using albums. Your editing can be as simple as cropping, straightening and adjusting contrast, but the app can also remove red-eye and add special effects. when you’re done, you can share your images in a journal, which can be uploaded to iCloud as a web page, and, of course, you can post images to Facebook or Twitter. We’d like the ability to create Apple’s lovely photo books from within the app, but other than that, it’s ideal for organising and sharing photos. What’s the most fun part of cooking? Baking cakes. The Hummingbird Bakery is a London chain that specialises in the kind of cakes and desserts that have your tooth enamel cowering in fear, and cupcakes are its speciality. 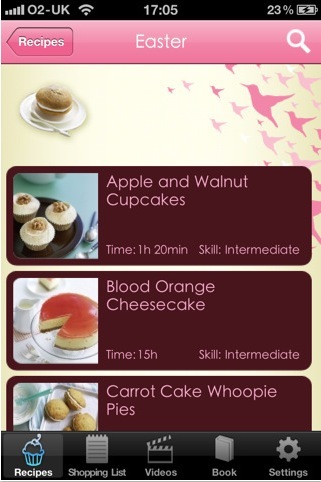 Hummingbird Bakery Cake Days is an app that’s as tasty as the sugary delights it helps you make. It has 85 recipes for cupcakes, layer cakes, pies and cookies, and along with photos and step-by-step instructions there are videos to show you exactly how to bake them. There are tons of tips on what to do if your cakes don’t rise or your pastry lacks the necessary puff. You can save ingredients to your shopping list, but our favourite feature? You can clap to move onto the next step in a recipe, thus saving your iPhone’s screen from sticky fingers. If spending an evening baking cakes sounds like your idea of fun, this is essential. There are few satisfying than confounding your friends with a magic trick. There are two elements to performing a magic trick: knowing how to do it, and practicing until its second nature. Magic Tricks Pro helps with the former, you’ll have to use those long winter evenings to do the latter. 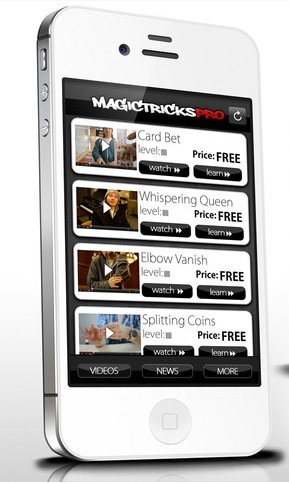 The app is a collection of video tutorials for popular magic tricks, given by professional magicians. There are 11 tricks included, and another 17 which can be bought as IAP. You can watch a trick being performed before you decide whether to pay for the tutorial. The videos are polished and professional and, most importantly, easy to follow. lf you want to learn the burnt match trick or ring and rubber band, you only have to download the app. More exotic tricks such as spoon bending or levitation will cost you $.99 and $2.99 approx respectively. 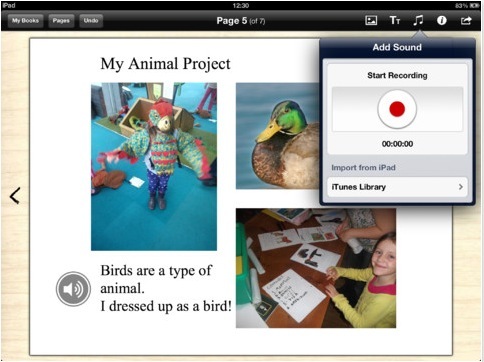 Forget cutting, sticking and binding: thanks to Book Creator for iPad, all you need to create your own book are photographs and a vivid imagination. There are a range of formats (landscape, portrait or square), and it’s a good idea to sketch out a plan beforehand to make notes of the outline of your story. Then, when you’re ready, you can import images from your Photo Library and add text boxes. Text can be re-sized, rendered in two dozen different fonts and placed over images. Handily, there are guides that appear as you drag an image or text box around, so you can see when it’s lined up with those already on the page. You can even add sound! The finished book is in ePub format, which is great for iBooks but we’d like to see an option to save it as a PDF so you could print it easily. 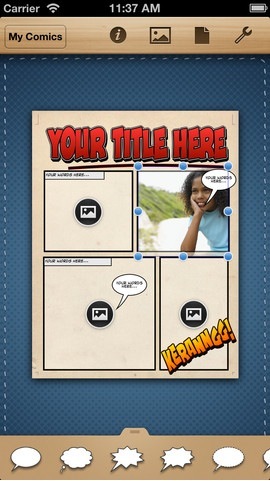 Book Creator is a great way to use your photos.